Here are several muscle building diets that work. They'll help you add muscle rather than fat, and they are relatively simple to use. But before we get to any advanced diet to build muscle, you need to understand the basics of adding muscle. If you get the basics right, you're already half-way to adding 5 pounds of muscle without any of the advanced techniques. And the advanced stuff won't work very well if you get the basics wrong. First, here's the basics of a diet for muscle building. Without them, you can muck up any of the below diets - so read well! All of these diets require you to have a calorie excess at some time. This is usually around 200 or 300 calories a day. Why? When you want to add muscle to your body, that takes energy. So, just remember that. If you cut your calories (even if you have great nutrient timing) it'll be much harder to put on muscle. On any of these diets, you need to get your daily protein requirementmet. Muscle is principally comprised of protein, and your body can't store protein for later use. So, you need to get your base level of complete proteins every day. Otherwise, it'll be much more difficult to put on muscle. Since you'll have a calorie excess, your body will probably put on a little fat along with the muscle. That' s just the way it is. With timing of meals, keeping your additional calories low, and using these diet tips, you can maximize the muscle you add and minimize the fat you add. But you'll probably put on a little bit of fat - just a heads up. Even with the best muscle building diets, it takes time for your body to build muscle tissue. Caloric energy and time. Go to you local grocery store and pick up a one pound steak. Then think about the energy required for your body to put on that amount of muscle. That's a lot! If you're a beginner, you can probably add about 2 - 3 pound of muscle a month. For intermediate people it's around 2 pounds, and advanced lifters might shoot for 1. Just keep perspective when using these muscle building diets. To really add 10 pounds of muscle, it will take at least several months. Unless you're genetically gifted. There are certain tricks to make your muscle appear larger in much shorter amounts of time. But they are fun tricks, not actual increases in muscle tissue mass. Have the right nutrient timing for your meals. No matter what diet you're using, timing your meals correctly will help you add muscle. Your post workout drink or meal should have protein (for muscle building) and carbohydrates (to stimulate an increase in insulin, which will help you add muscle). Whatever diet you're using, make sure to get those details right. Commit to working out and eating right, focusing on the basics, and using the muscle building diets on this page. I'd recommend either the High Protein or Isocaloric diets below. They have the most focus on pure muscle building, rather than trying to keep you really lean while gaining muscle. And if you want to look like you just put on 5 pounds of ripped muscle, try the modified carb drop technique/trick at the bottom. It's showy, but if showy is what you want then go for it! 'Iso' means one and 'caloric' refers to calories. An isocaloric diet strives to balance carbohydrates, proteins, and fats in a 1:1:1 ratio. This is the most versatile diet for muscle building. And the best one over the long term. It gives you the flexibility to eat what you want (within reason), the protein and carbs to build your muscles, and the fat to keep you healthy. It's simple and it works. Along with a calorie excess of 200 - 300 calories a day, you can really put on muscle. Try it. With this diet, you're taking no chances that you might not have enough protein for muscle growth. So, you're looking at 50 - 60% of your daily calories coming from protein. This allows you to do the basic protein/carb combo in your post workout drinks or meals. And you'll have enough protein so that if you're workout is genuinely hard enough, you will put on the muscle. Many bodybuilders favor this plan. Over the long term, this diet can possibly do some damage to your liver from processing large amounts of protein. But that's only if you keep it up for an absurdly long time, like 3 or 5+ years at a stretch. For just the next few weeks or months, it shouldn't cause you any trouble. Just remember to get your fats in. You need some fat to be healthy, so keep about 15% of your calories coming from fat. A high carbohydrate diet can be an effective muscle building diet, and it can be fun. Lots of carbs (50 - 65% or more) means that you can eat lots of sugary fruits and other treats. As with the other diets, you need to take care to get your daily protein requirement in. But your high carbohydrate allowance means that putting together your post- workout drink should be a snap. One thing to be aware of is that with a high carbohydrate intake, if you don't use intermittent fasting and you eat many times a day, this diet can lead to more fat gain than the other diets presented here. The carbohydrates will keep your insulin elevated, helping you put on both muscle and fat. The zig zag diet eating plan is one of the best muscle building diets around. It's good at keeping you lean while putting on muscle, and since it is an eating plan rather than a diet, strictly speaking, you can combine it with other diets. The basic theory is to zig zag your caloric intake over 3 days, repeating. Thus, sometimes you have excess calories (for building muscle), and sometimes you have reduced calories for a little bit of fat burning. You can go as low as 60% of your calories on low days and as high as 140% on the high days. Just keep the numbers balanced, with a slight caloric excess on the higher days. 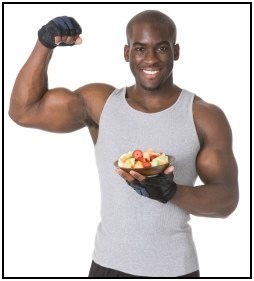 Muscle building diets using the zig zag eating program normally have low days at 80% of your base calorie intake, and the high days a 120 - 130% of your base calorie intake. Use this as a guide, but see what works best for you. This isn't really a muscle building diet. It's a bodybuilding trick to add apparent muscle mass very quickly. The first part of this is a 2 week ketogenic diet. This is a high fat, just enough protein, and NO carbohydrate diet. This is usually along with a diet that reduced your calorie intake, so you burn fat as well. Since you're on a low carbohydrate diet, your insulin stays low. Low insulin means that you don't store any more sugar (glycogen) in your muscles, it's easier to burn fat for fuel, and your workouts drain your muscles of the glycogen that's left there. And on day 14, the last day of your diet, you do a truly murderous workout. This burns fat and gets rid of any glycogen left in your muscles. This happens on day 15, after you spend 2 weeks of the ketogenic diet. On day 15 you eat a TON of carbohydrates - like 3,000+ calories of carbs! Your ketogenic diet just helped you burn fat in a very efficient manner. Now you're re-charging your body's glycogen (muscle sugar) stores. And since glycogen is stored in your muscles along with water, this large amount of carbohydrates pumps up your muscles. This gives you a really ripped appearance, and if you take a body composition test it will register that you've just put on a ton of muscle. This combination of burning 3 - 4 pounds of fat over the last 2 weeks (using the ketogenic diet with a calorie deficit, and exercise), combined with the 'pump' effect of the carbs on your muscles, makes you lookreally buff. But, you aren't actually adding muscle mass. You're doing a cute trick to make your muscles look bigger. It's very useful, but keep it in perspective. The muscle building diets above take more time to make you look more muscular, but they build real muscle tissue - not just 'pump'. • Click here to leave '3 Best Muscle Building Diets: The Fastest Way to Add 5 Pounds of Muscle' & go back to the Home-page! 1. Willey, Warren. 2007. Better Than Steroids! Victoria, B.C. : Trafford. Pp. 76 - 77.